Our unique Mental Health Museum has been chosen as just one of 15 museums to take part in a scheme aimed at maximising the role of museums in community wellbeing. It’s been selected as an affiliate of the Happy Museum scheme, which explores the role of museums and culture in addressing issues such as climate change and social justice. 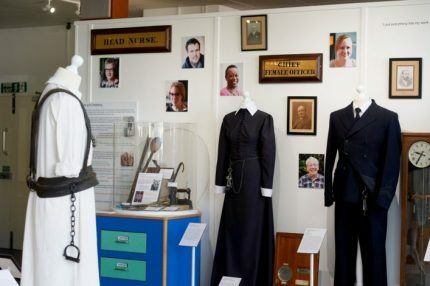 The Mental Health Museum, based at our Fieldhead site in Wakefield, houses a remarkable collection of mental health related objects that span the history of mental health care from the early 19th century through to the present day. As well as offering an interesting visiting experience, the museum aims to combat social inequality, prejudice and stigma through becoming a leading resource for the history of mental health care in the UK.